Here is a recap of the past week's action in Fall and Winter leagues. For the full list of Red Sox prospects participating in these leagues, check out our Fall & Winter Leagues page, which will be updated continuously through the offseason. This week's roundup covers the period of October 25-31. 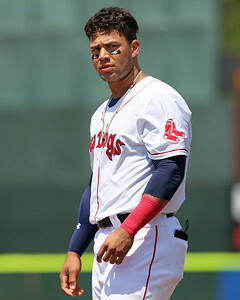 On Friday, the Red Sox announced that top prospect Yoan Moncada (pictured), who had not played since October 21 due to a left thumb sprain, will not play for the remainder of the Arizona Fall League season. He is scheduled to resume baseball activities in two weeks and is expected to be fully recovered in time for spring training. In six games with the Surprise Saguaros, Moncada slashed .292/.370/.458 with one double and one home run. SoxProspects.com is seeking applicants for the positions of Web Editor and Social Media Specialist for the 2017 season. Position Overview: We're looking to hire two Web Editors to join the SoxProspects staff through at least the end of the 2017 baseball season, reporting to and working with our Senior Web Editor. The primary responsibility will be to update the stats on the home page and Prospects 21-60 page every other day (or some other arrangement where the task is divvied up among the two Web Editors). The hope is that the two new Web Editors will split this daily task, which takes roughly 20 minutes per day and should be completed either late at night following the end of all games or in the morning before 8:00 am (ET). The other responsibility will be to serve as a back-up to the Senior Web Editor to help update the Site’s Transactions, Roster, and player pages as transactions occur, on an as-needed basis when the Senior Web Editor is busy or unavailable. Applicants should have regular availability to perform the above tasks, as well as reasonable flexibility during business hours (ET) if needed. Overall, the estimated time commitment is about 2 hours per week, maybe 3 hours in the heaviest few weeks of the season. Position Overview: We're looking to hire two Social Media Specialists to join the SoxProspects staff through at least the end of the 2017 baseball season, working with our current Social Media Specialist as well as our managing editors. The primary responsibilities will be managing our Twitter, Facebook, and YouTube platforms. Additionally, one Social Media Specialist will be responsible for editing/producing our Podcast, while the other will take responsibility for occasional editing of the SoxProspects Wiki. Applicants should have flexibility to be able to post using the site’s platforms as needed, maybe a few times per day, including during business hours (ET) if needed. (Note that this does not mean being on call around the clock, but it will not work if the applicant is unavailable to post during the entire work day every day). Overall, the estimated time commitment is about 2 hours per week. Compensation: All four of these positions are unpaid opportunities, as are all the positions on the SoxProspects Staff. However, most staffers have found the experience on the Staff to be rewarding in other ways, such as through the camaraderie of the team, invitations to occasional staff events, and the overall experience gained. We will train whoever gets these positions from the ground up on our systems and processes. 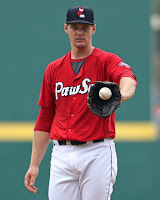 Positions at SoxProspects are a great opportunity for aspiring digital content developers to gain experience and exposure in the sports industry. It’s worth noting that members of the SoxProspects staff have gone on to write for ESPN Boston, Baseball Prospectus, the Baltimore Sun, the Sun Sentinel, MLB.com, and MiLB.com, among other outlets. Selection Process: If interested, please email mike@soxprospects.com and provide a list of relevant skills and experience with respect to the position you are applying for, by Friday, November 11, 2016. If you apply for the Social Media Specialist Position, please let us know if you are interested in the Podcast position, the Wiki position, or both (if both, whether you have a preference). Resumes are strongly encouraged. We look forward to hearing from you! We hope to make decisions on these positions in November. Although this is a volunteer position, we evaluate applications based on their professionalism, attention to detail, and merits as if this were a paid job, so please approach the application process accordingly. Familiarity with the site is a plus, but level of fandom of the Red Sox will not really be a consideration. Here is a recap of the past week's action in Fall and Winter leagues. For the full list of Red Sox prospects participating in these leagues, check out our Fall & Winter Leagues page, which will be updated continuously through January. This week's roundup covers the period of October 17-24. It was a difficult week for Sox hitters in the AFL at the plate. 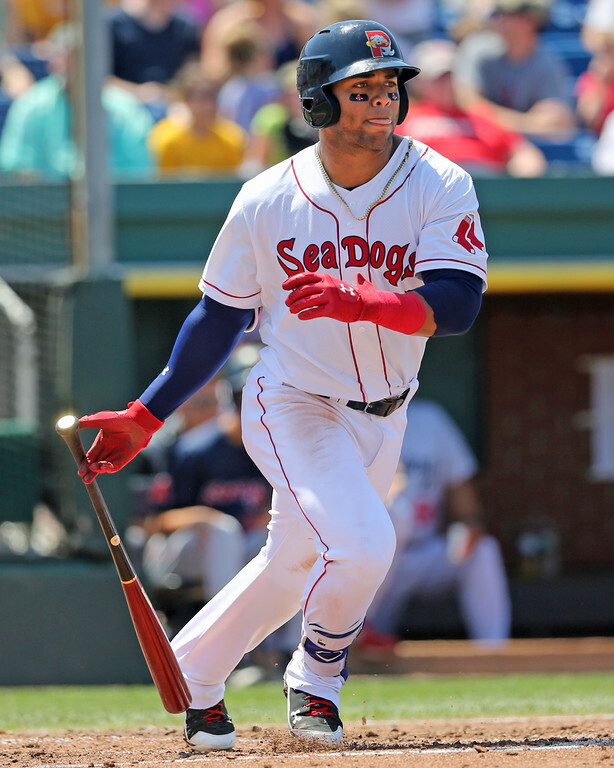 Danny Mars went 1 for 11 with a walk and Yoan Moncada went 1 for 10 with six strikeouts, two walks, and a stolen base. Mauricio Dubon had some success, going 3 for 12 with three singles and two stolen bases. He had a 3-for-4 game sandwiched between a pair of 0-for-4 outings. He saw some more action in the outfield, starting one of three games this past week in center field. Trey Ball made two appearances that produced opposite results. He tossed 1 1/3 scoreless innings on Wednesday, but followed it up on Saturday by walking all five batters he faced on 27 pitches. Jalen Beeks made two appearances and allowed one run over 2 1/3 innings. He walked three and struck out three. Jamie Callahan had a nice week with two shutout innings that included three strikeouts. Michael Kopech wasn't as sharp in his second AFL start. He lasted three innings and gave up seven hits and two runs. He walked one and punched out three. This is the first in our series of weekly roundups of the Fall/Winter Leagues. Coverage will continue every Monday into January. For the full list of Red Sox prospects participating in these leagues, check out our Fall & Winter Leagues page, which will be updated continuously through January. This week's roundup covers the period of October 6-16. Games started on October 6, with seven Red Sox prospects playing for the Surprise Saguaros. Third baseman Yoan Moncada (pictured, right) has been the star for Surprise thus far, appearing in three games, going 6 for 14 with a double, home run, two RBI and five runs scored. Mauricio Dubon has gone 4 for 14 with a home run and an RBI in three contests, and the shortstop got his first taste of center field in Saturday's contest as he and the organization seek to further his development as a potential utility player at the MLB level. Outfielder Danny Mars has gone 3 for 12 with an RBI in his three appearances. 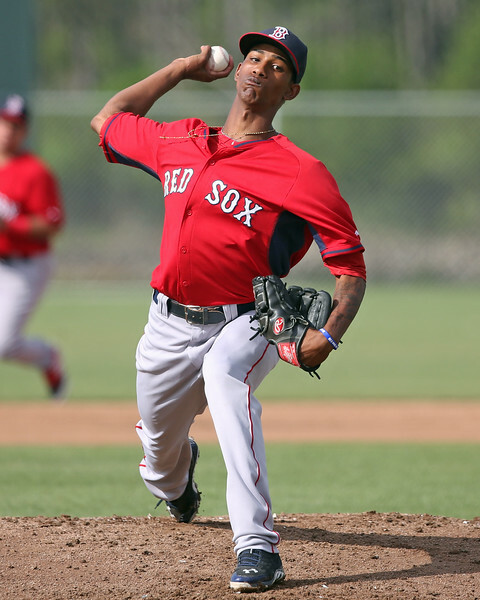 FORT MYERS, Fla. – Each year, the Fall Instructional League provides us here at SoxProspects.com with the opportunity to catch 50 or so of the system’s young prospects in one place at the end of a long season. This year, Director of Scouting Ian Cundall spent four days at Instructs. These are more of his reports from Saturday, September 24, when the Red Sox campers took on the Twins across town at the CenturyLink Sports Complex. Though right-hander Bryan Mata is the youngest pitcher on the Red Sox instructional league roster by eight months, he showed off an intriguing arm in his inning of work. Mata had a very solid year for the Red Sox DSL 2 team and seems to have carried what he was doing over stateside. He struck out 61 in the same number of innings over 14 starts, posting a 2.80 ERA and 1.20 WHIP as a 17-year-old. Mata has a tall, projectable pitcher’s frame, listed at 6-foot-3, 160 pounds. He is on the thin side at present, but has a frame that looks like it could support added weight as he matures, both in his lower body and upper body. He throws from a three-quarters arm slot with a low-effort delivery. He has some whip when he comes forward, but otherwise has solid mechanics and a quick arm. SoxProspects.com Director of Scouting Ian Cundall spent four days down at the Fall Instructional League, and he wrote a pair of Scouting Scratches on some of the top young players in the Red Sox system. 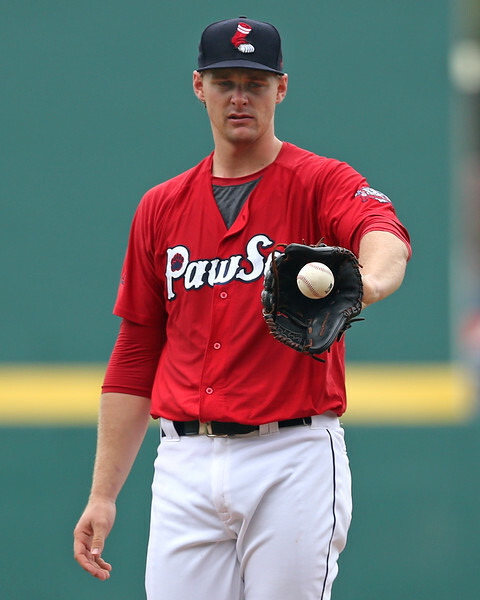 The main attraction was first-round pick Jason Groome, who showed off an outstanding curveball as well as a promising fastball. In the same article, Cundall highlighted Gerson Bautista, who has premium fastball velocity and also flashed a new pitch that had some success. The other Scouting Scratch was led by Victor Diaz, a reliever with a fastball that consistently hits 99. Cundall was able to see the huge upside that Diaz possesses in his dominant appearance, with improved secondary pitches and control. Robby Sexton, Francisco Lopez-Soto, and Jordan Weems were also covered, with Sexton showing some potential as a left-handed reliever.